Over here across the pond, our nations are undergoing a possible rupturing come September when Scottish people have to decided if they wan’t to stay part of the UK, or become an independent country. There’s a whole heap of political hoo hah going on. I wonder if when I visit the client I gained today, I will have to show my passport at this particular point! 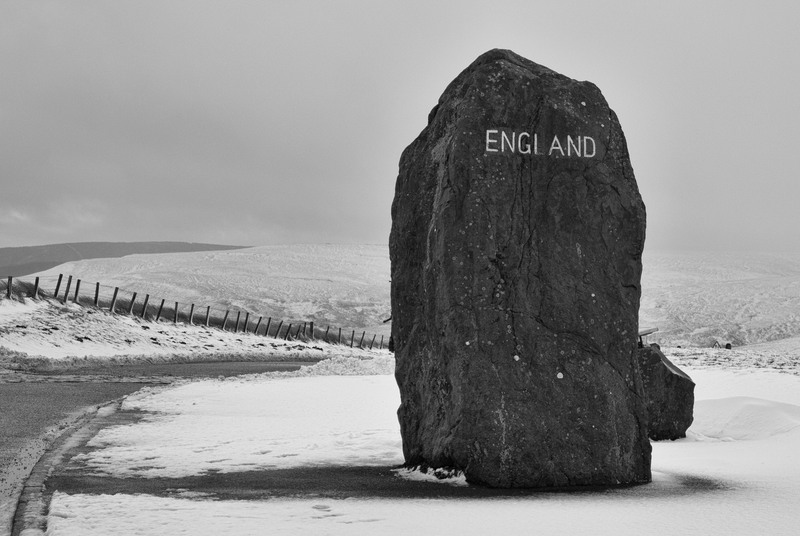 Posted in B&W, landscape, Nikon, photography, Travel, UncategorizedTagged B&W, D700, England, Nikon, ScotlandBookmark the permalink. Nice shots. 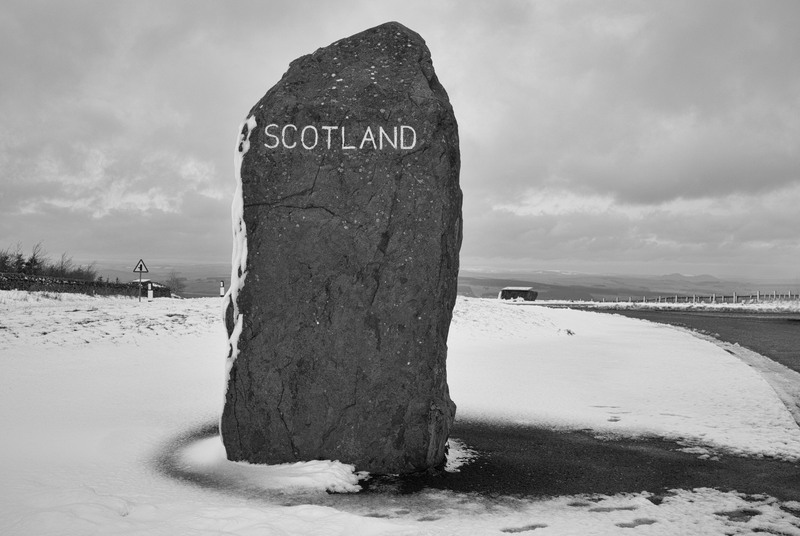 Maybe they’ll rebuild Hadrian’s Wall to stop the Scotts getting in after their independence!